Of all the criminal charges in the US, arrests and convictions for drug charges are among the most common. 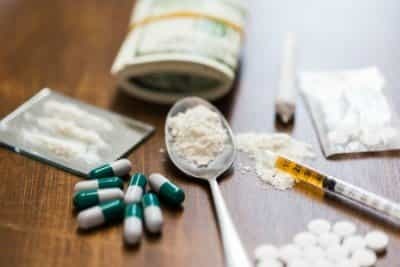 Arrests for any drug charge accounted for 24.8 percent of local inmates, 26.4 percent of state inmates, and 25.3 percent of federal inmates, according to a Bureau of Justice Statistics report through the US Department of Justice (DOJ) in 2008. Among those who were incarcerated, 52 percent of women and 48 percent of men were found to be dependent on drugs and alcohol. In 2004, 17 percent of state prisoners, and 18 percent of federal prisoners, reported committing a serious offense like theft to obtain money for drugs. Alcohol: Although driving under the influence (DUI) arrests are declining, especially those involving alcohol, DUIs or DWIs are still one of the most common criminal offenses leading to arrest and jail time. In 2002, about 15 percent of people ages 16 and older reported driving under the influence; while that declined to 11 percent by 2014, this is still a large percentage of adolescents and adults in the US. The Substance Abuse and Mental Health Services Administration (SAMHSA) reported that 28 million people still drove drunk in 2014. The National Highway Traffic Safety Administration (NHTSA) reported that drunk driving accidents were responsible for one-third of all traffic deaths in 2014. While few of these individuals end up under arrest, several do go to jail, court, or court-ordered rehab, or face other penalties. Marijuana: Most of the FBI’s drug arrests involved possession offenses, of which 42.4 percent were marijuana offenses. Of course, as more states legalize medical or recreational marijuana, local statistics involving these decriminalized drugs are going down; however, now people are going to states with legal recreational marijuana and attempting to transport the drug across state lines, leading to federal-level crimes. In 2010, 52 percent of all arrests involved marijuana; in places that still have tough laws about marijuana on the books, crimes that send people to jail for weeks or months typically involve small amounts of marijuana. Of the nearly 1.5 million FBI arrests in 2015, 68,480 involved the sale or manufacture of marijuana, and 574,641 involved possession of marijuana. Heroin and cocaine: Of the 1,488,707 FBI arrests for drugs in 2015, 81,879 involved the sale or manufacture of heroin or cocaine; 296,252 were for the possession of cocaine or heroin. Synthetics and non-narcotics: The FBI listed other drugs, including synthetics and non-narcotic drugs, which led to arrests, criminal trials, and jail time. These included 26,797 arrests for the sale or manufacture of synthetic or manufactured “designer” drugs; 62,526 involved sale or manufacture of other dangerous, non-narcotic substances; 75,924 were for the possession of synthetic or manufactured drugs; and 300,719 involved the possession of dangerous, non-narcotic substances. Prescription drug fraud: In 2017, charges were brought against 412 people across the United States for fraud contributing to the opioid addiction and overdose epidemic. These charges included 50 doctors who had been charged with defrauding the federal government of up to $1.3 billion. These doctors falsely billed Medicare or Medicaid for treatments that were never provided, but they are also charged with accepting cash in exchange for illicit diversion of prescription drugs. Prescription drugs like opioids and sedative-hypnotics are also responsible for many DUI charges.